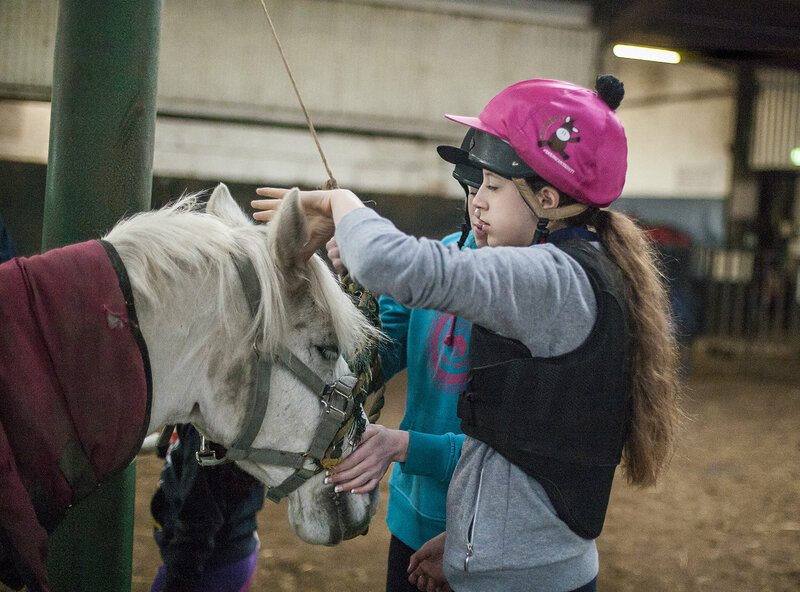 Working with the psychological power of horses, the pupils will have the chance to learn about themselves and others. They will undertake various team activities that will develop and enhance their communication ability, self-awareness, confidence, leadership skills and ability to work as a team. The day will run from 9.30am – 3.30pm at a cost of £40 per child. The children will benefit from a morning and afternoon break and half an hour for lunch. ** You will also have the option to add an overnight stay with us in our indoor or outdoor camping facilities for an extra £10 per pupil. Depending on numbers, the activities may be split on a rotational basis, with a maximum of 8 pupils per activity at any one time. We can cater for groups of up to 48 pupils per day’s session. This is a classroom-based task that provides a perfect ice-breaker to the day and explores the hidden personality characteristics of each pupil. This task encourages bonding with the group and increases confidence. The pupils will build trust with each other through guiding each other through a minefield assault course! Pupils will require out-of-the-box thinking for this activity, where they will have to work together in teams to find a solution to a tricky problem! Through this task they will build on their team working skills and patience. 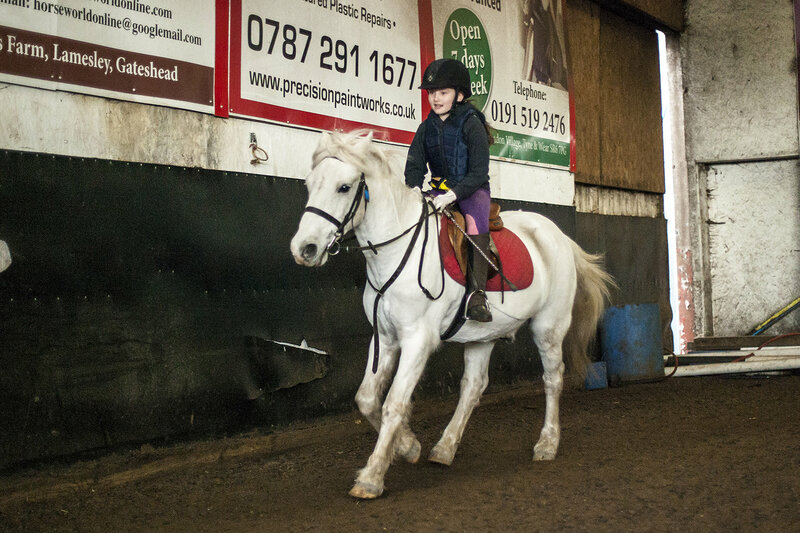 The pupils will have the chance to have a mini-riding lesson on the day and will have learnt to mount, walk, turn and trot by the end of the session! During this task the pupils will learn to work together in perfect partnership with the horse to gain their trust in order to win the task. The children’s trust and leadership skills in this fun and physical team-based activity. The children will now be given a real mental challenge to learn all about each other and how to work together effectively. It is the perfect task for developing respect and listening to others’ points of view. Each pupil will receive a certificate for each stage of their course completion. The longer, 6-week course will involve the pupil being assigned their own horse-profiles on the yard, for which they must produce feeding and living recommendations and schedules. They will be able to develop a physical relationship with their chosen horse(s) through grooming, feeding and even an opportunity to ride the horse at the end of their course (if suitable for the individual pupil). Pupils will cover all areas in comprehensive detail, and the session will be a combination of classroom and practical-based application. We also schedule in regular one-off events in combination with local specialists. These focus on particular areas that can be applied to various subjects and curriculum areas. An idea of the types of events we offer are below. If you would like to stay informed of our latest events please just send us your details via email or Facebook message. Costs for curriculum-based events will vary according to specific event and specialist but, as a general guide, will be around £15-20 per session per pupil. Sketching materials will be provided within this cost. Biomechanics of the horse and rider. How and why different horses and humans are suited to different riding disciplines. Includes both a classroom-based session, introducing pupils to the different horse riding disciplines and the “perfect” rider and horse anatomies for each. 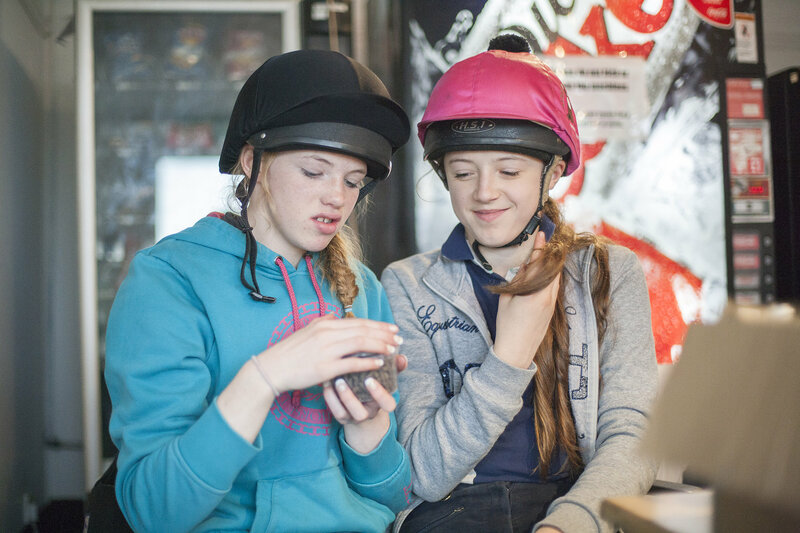 As well as an arena-based session where different anatomical shapes of horses and riders will be studied in real life and the impact on their ability for different activities. Full course notes will be provided and pupils will be able to take photographs and video footage throughout the day to use within their studies/projects. In this session, pupils will get the chance to learn about the anatomy, movement and paces of a horse, including how they use their body language and facial expressions to convey their thoughts! Following this classroom-based session the group will then move into a safe arena-based environment to observe horses at rest and movement and how their anatomy and muscle-make-up influences the shapes and movements they make in different situations, before having the opportunity to sketch the horse in real-life.